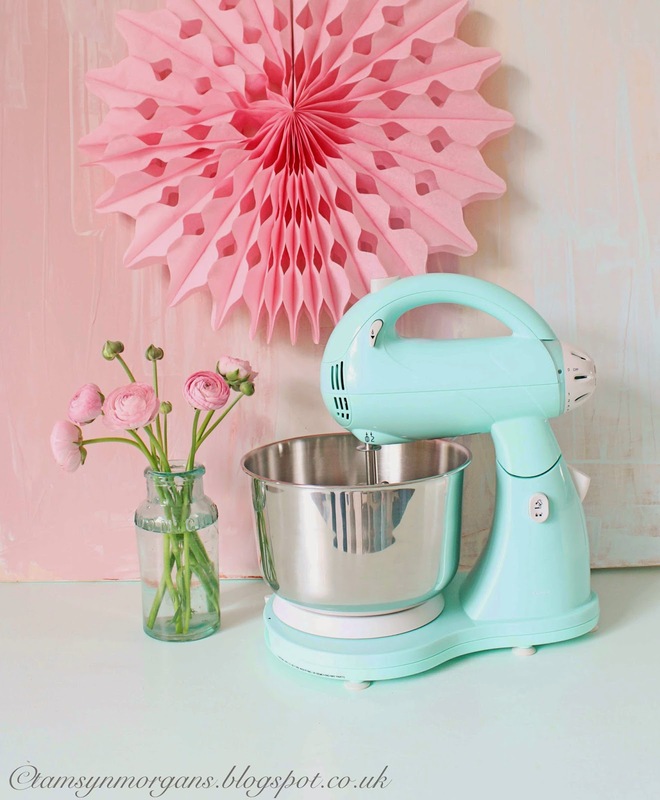 I had to just share my latest toy with you, this fabulous mint green cake mixer from Aldi. For £34.99 I’m fairly sure it won’t last forever, but I had to have it! The children and I gave it a road test a couple of weeks ago, and it worked beautifully. 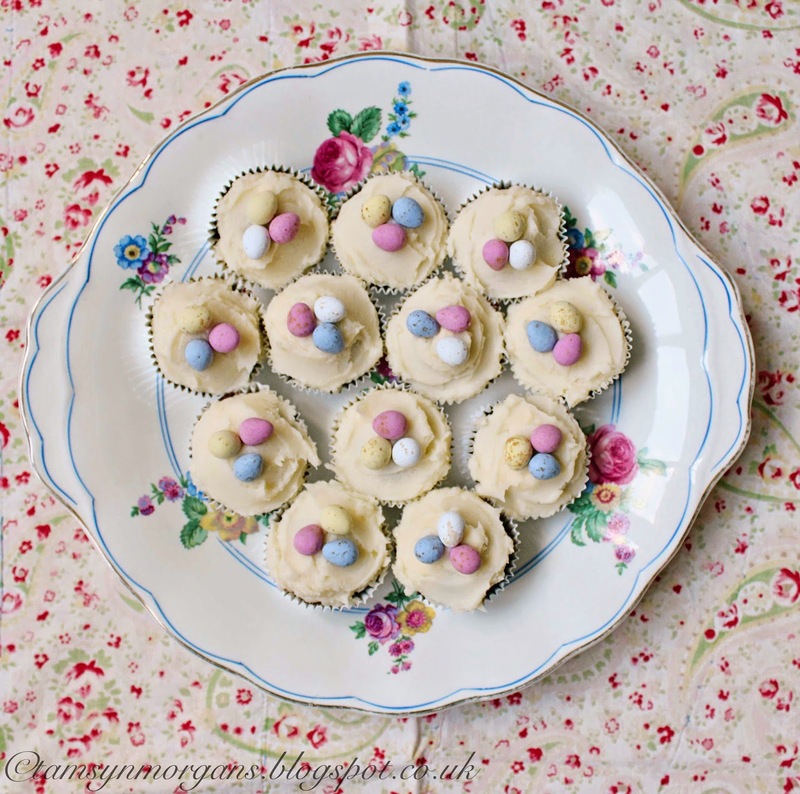 We made these mini Easter cupcakes. I’m very much looking forward to having it sat on my work surface when I get my kitchen sorted out, it’s just so pretty! Tamsyn, gorgeous lady! You see your canvas in the background, did you paint it and what size is it? I want to steal your idea and of course, if i post it on my blog you will get full credit!